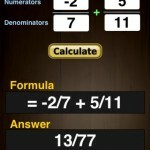 The Date & Time Calculator with Math Expressions Evaluator app is a straight-forward no-nonsense app to get the sum and convert a series of numbers and/or time expressions. 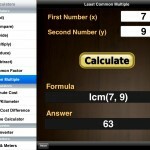 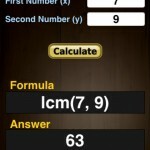 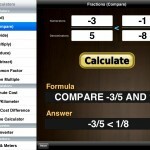 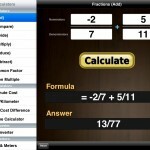 The Math Expression calculator built-in to the app features a text box for entering in your arithmetic as well as trig and log functions to be solved at the bottom of the screen. 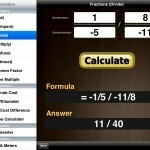 Search and replace functionality is designed to make it easier to update the input at the top of the screen. 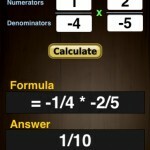 The time calculator calculator functions as an old style tape calculator. 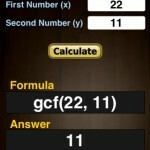 As the numbers are added to the list as positive or negative values, the result is automatically generated and a history list is immediately updated and allows deletion of any row in the list. 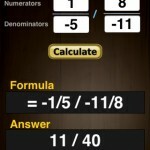 Time Expressions of time are entered in the D:HH:MM:SS format, and the touch interface of the iPhone/iPad/iPod Touch allows you to skip to the time unit of your choice or press the colon key to skip to the entry point using the convenient onscreen keypad for the best interactive application of problem.